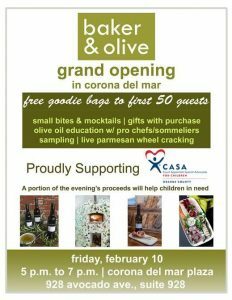 Step out to the grand opening of Baker & Olive in Corona del Mar, benefitting Casa (casaoc.org) on Friday, Feb. 10, 5 p.m. to 7 p.m. Baker & Olive is a chef-inspired specialty shop and tasting pantry in Corona del Mar, with a culinary team that is immensely passionate about quality ingredients. 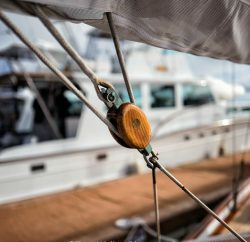 Together, they curate a collection of world class aged balsamic vinegars, ultra-premium, freshly harvested olive oils from around the globe (depending upon the season), artisan cheese, charcuterie, salts, seasonings, and other specialty food ingredients. Baker & Olive is located at 928 Avocado Ave., Suite 928, Corona del Mar Plaza.